You can start your system up using all new gear or you can save a bundle and buy it used. New usually means scratch-free, quality gear with a warranty while used stuff may need to be cleaned up, repaired, or constantly tinkered with. I've purchased used tanks several times, but obviously my preference is everything brand new, shiny and typically higher-end merchandise. I like the pricy stuff because it tends to last longer, has a better warranty where you actually get help when an issue arises, and it looks to be better made. Cheap pumps are cheap for a reason, and if you go that route, just buy extras and throw them in the closet so you have a backup or two when it conks out. People that defend cheaper pumps to me, or that tell me I'm overspending... well, I can use the same pumps for nearly a decade, replacing small bits if they wear out, while the bargain pumps often are going to be disposible -- and keep an eye out that you don't get zapped by bad wiring (yes, it happens). This is why I prefer better quality products, and look for the UL listing on the power cords. I don't want this article to turn into a cheap versus expensive rant, so I will leave that up to you. My biggest piece of advice is to save up for the thing you actually want, rather than buying something now just to get by. Those that do end up rebuying more gear within the first year, which costs more money. Buy once by buying wisely. Years ago, everyone set up their aquariums with live rock. We wanted rocks covered in colorful sponges, hitchhiker clams, worms, starfish, crabs, and featherdusters. 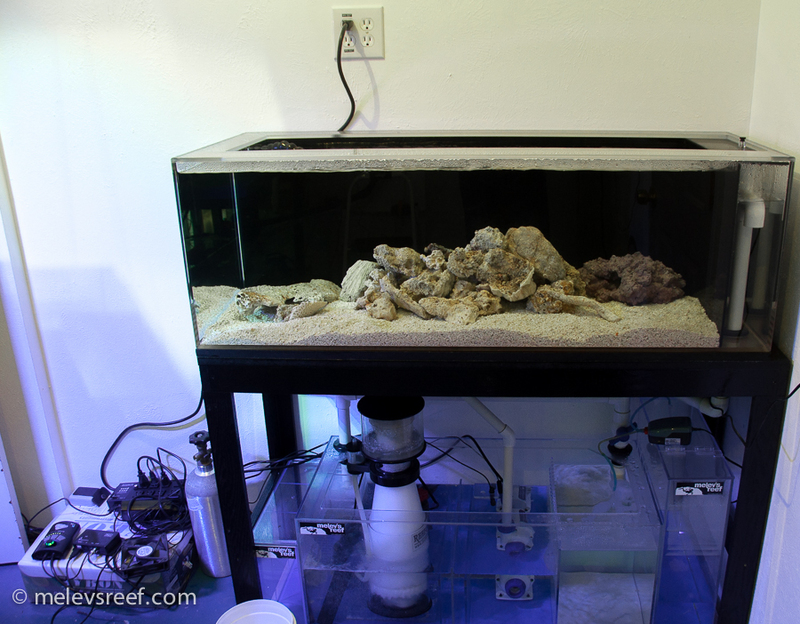 We used live sand to make sure the substrate was healthy, ready to deal with detritus and excess food. These days, people are more prone to buying dry sand, dry rock, fearing anything and everything will invade the aquarium and kill their stuff. This is an over-reaction that has cheated hobbyists out of the enjoyment of discovering cool critters that usually surface after lights out. This is an active ecosystem. It will make some noise, it will do things you don't expect, and it does not resemble a stagnant lifeless display in a museum. Just like a beautiful home transforms into a lived-in space as a family grows, your reef is filled with life, seen and unseen. Bacteria abounds, invertebrates and pods creep about the rockwork, and waste is consumed and processed, helping the system stay clean. The lack of necessary creatures creates an imbalance which leads to problems later. 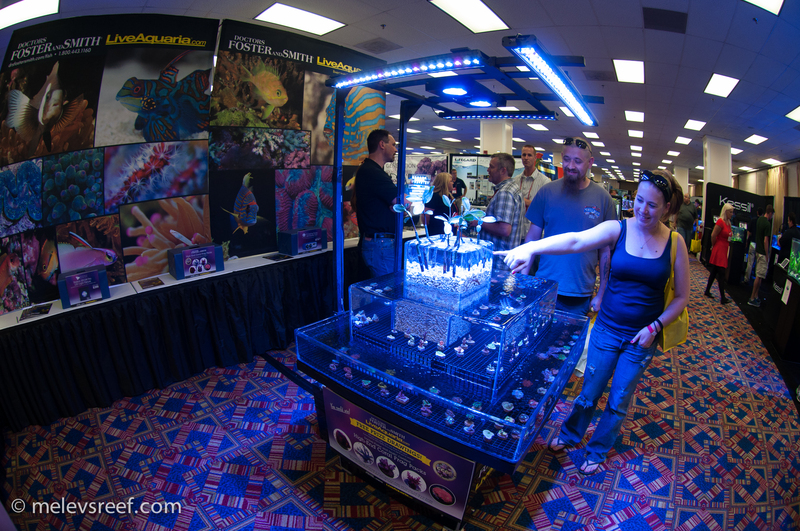 It's understandable to save money using dry rock, and it may even be eco-friendly by not taking rock from the ocean, but there is plenty of live rock being aqua-cultured specifically for our hobby, curing quietly in the ocean for months. Don't fear it. Some vendors have even pressure-washed the rock clean just because people's concerns with hithhikers. Such a shame. Ironically, those same people see neat things at the fish store like sponges, tiny anemones, filter feeders and commensal crabs and want them, when they could have come in on the rock in the first place. Every tank I've set up since 1998 was set up with live rock, and yes I've had to deal with a variety of pests. When you purchase snails, hermits and shrimp, you don't quarantine those... and yet it is actually possible something could sneak in on those, albight rare. 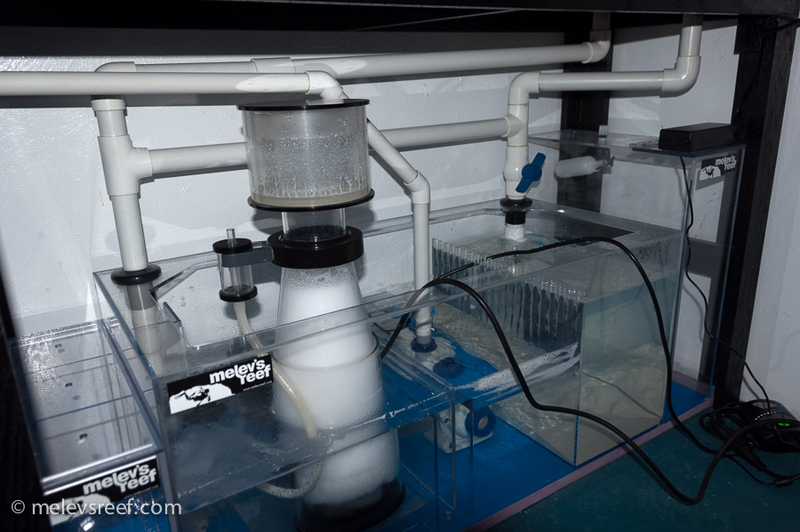 If you end up with some pest in your tank, there are solutions. Never overreact; just find out what needs to be done, make sure it's a reasonable method you can live with, and work the problem until it is resolved. One last point about dry rock, if that is the direction you have decided upon: you will see it go through several algae phases over the first six months, and it will take nine months or longer to get to the point of becoming "live" with the ability to help with denitrification. All it is at first is a structure to place things upon, nothing more. Be sure you get a serious clean up crew so you don't look at your tank in despair, and add livestock g r a d u a l l y so you don't overtax the system. Feeding fish is obvious, but there are lots of choices. Frozen, dry sheet algae, pellet, flake, and even chilled liquids are available. If you like to feed often, feed smaller portions. If you only have a couple of fish in your new aquarium, you can cut a frozen cube of fishfood in half, and save the other half for later or the next day. My aquarium gets food three times a day; when people tell me they only feed their aquarium every other day or even longer, I just want to ask them how often do *they* eat each day?! Corals have mouths too. LPS corals can be target fed, turning off the pumps for a 10 minute period so the tentacles can capture and draw the food in. 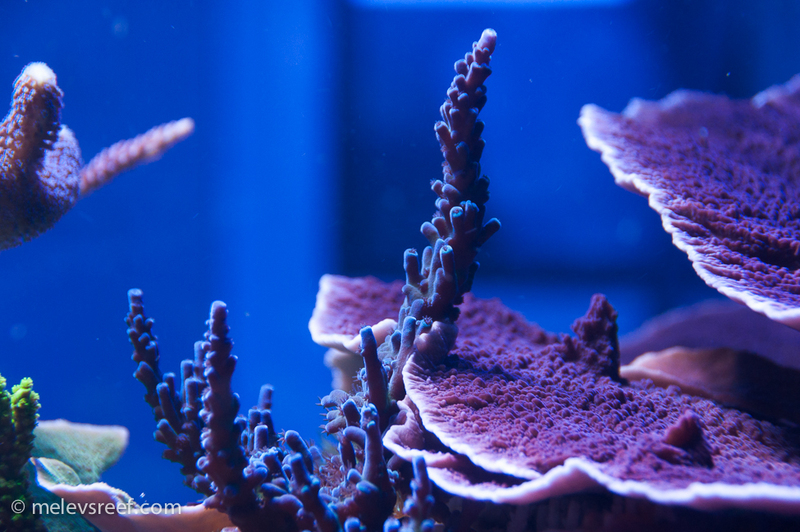 Corals will also eat the fish waste that is broadcast into the aquarium. Many corals open up after lights out while the fish sleep, tiny polyps trapping particulates during those dark hours. If you've set up your system properly with reliable equipment and you stay observant, odds are you can maintain a healthy reef working about two hours a week. Daily you may need to make tiny tweaks to assure all is well, and check on the protein skimmer, draining the cup as needed. Each weekend you'll spend some time doing water tests, cleaning the glass and surrounding area. Once or twice a month you'll perform a water change and clean the circulation pumps. The rest of the time, you'll be transfixed with your system, comparing it to others you've found online, visiting fish stores, thinking about what you'd like to get next, and deciding what you can afford. 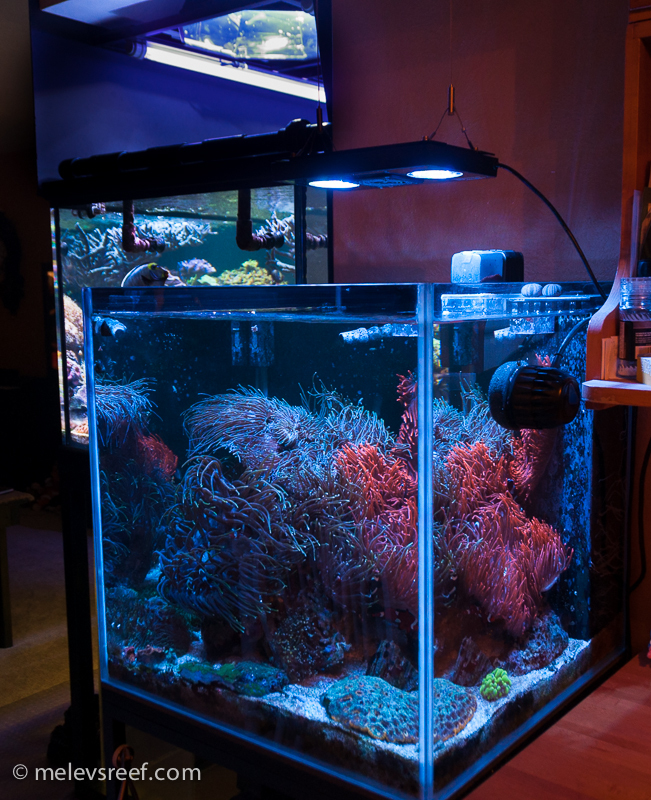 Avoid the tendency to neglect your tank, because the longer you ignore it, the more time you'll need to restore it. By keeping up with the smallest issues, you'll avoid the big hurdles. Also, try to plan ahead, thinking about what can and will go wrong, and prepare for that. Do you have spare parts on hand, plenty of salt for water changes, dips to treat new corals, batteries in case the power goes out? Do you have a friend you can call if things get dicey, or that can watch your aquarium when you travel for work or a vacation? An aquarium is a pet like a dog or cat, and it needs daily attention. Most of the time is for enjoyment, while part of the time is work to make it something worth sharing with others. No matter what size you choose, try to give it your full attention. The more tanks you add, the more work you'll create for yourself. The bigger the system, the bigger the commitment in time and money. I really enjoyed my 29g reef, and I maintained that aquarium for 7 years. I had a 3g pico reef for 6 months. The angled tank was a popular one to many that followed my website, and it ran for about three years. My 280g reef was my favorite, and it lasted six years before the silicone let go. My 400g is my pride and joy, and the 60g Anemone Cube was included in that build because I love clownfish. This is a hobby about patience and watching things grow. Some corals may burst with growth, while others may seem to be in idle-mode. The fish you select will be in your care for many years. Clownfish can live to be 25 years or more. Tangs can live to be 30-40 years. Spock, the naso tang in this next picture, has been with me since 2004, as has 'Crown Royal' the purple tang. There is still so much more to tell you, but this seems like a good stopping point. Melev's Reef has many articles which can be accessed from the main navigation bar, via site map, or the search button. When you have a question, type it in google and add melev to the query, and you'll quickly find my answers here, on ReefAddicts.com, other forums, youtube, or possibly social media. I've been sharing my knowledge with everyone for a long time, and odds are I've documented it at some point. Read my blogs, and be sure to subscribe to my Youtube channel. Happy reefing! You're gonna love it. Posted 4 hours 11 min ago.